Record Labels - Erin M. Jacobson, Esq. Music creators (songwriters and performing artists) and rights’ owners (music publishers and record labels) are not collecting a new and substantial source of income – and most of them are not aware they are not collecting it. Enter Twitch, the website exploiting creators and owners without paying for a single cent of music usage. Twitch, a subsidiary of Amazon, is a live-streaming video platform that has “over two million broadcasters and 15 million daily active users.” Anyone can become a Twitch “broadcaster,” meaning users set up their own channels and live-stream various content, which includes, but is not limited to, video-game play, card games, pranks, craft tutorials and more. The broadcasts start out as live streams and are saved on the channel for re-broadcasts and on-demand watching. Watching videos and channels on Twitch is free and publicly accessible to anyone with an Internet connection. Anyone can become a Twitch broadcaster for free and earn money directly from viewers. Broadcasters that contract with Twitch to become a partner or affiliate will earn money from Twitch directly, as well as from viewers. All revenue streams are described in the next two sections. Ad Revenue: Twitch serves ads on all video content, which includes video-on-demand and pre-rolls, and collects ad revenue from showing these ads. Subscriptions: Viewers can subscribe to a particular broadcaster’s channel at pricing tiers of $4.99, $9.99, and $24.99, with these charges recurring monthly.These subscriptions allow viewers to support broadcasters and use special emotes (chat icons like emojis) that are accessible only to subscribers of a particular broadcaster’s channel. Bits: Viewers can contribute “bits” to a broadcaster during a stream. Bits are a digital currency within Twitch bought by users for real money, and contributing these bits to a broadcaster is basically like adding money to that broadcaster’s tip jar. Amazon Prime: Because Twitch is owned by Amazon, Prime members can use “tokens” from their Prime membership to subscribe to broadcaster channels on Twitch. Tokens renew every month, so a Prime member can re-subscribe to a broadcaster’s channel on a monthly basis using Prime tokens. Twitch and the broadcaster split all income from subscriptions, bits, and Prime tokens, usually on at least a 50/50 basis. Donations:Viewers can contribute money directly to a broadcaster through third party services like StreamLabs, Muxy or StreamElements without buying bits. Media Share: Viewers can make “media share requests” through StreamLabsand StreamElements, meaning viewers can request a broadcaster to play a certain song, YouTube video, or other media within a live stream (hereinafter “Media Share(s)”). Prices for Media Shares are set by the broadcaster, and some broadcasters will start their pricing at $5 per request. Ninja and most other broadcasters also use music in their streams. None of this music is licensed and none of this money is going to the music creators or rights’ owners. Platforms with user-generated audiovisual content require performance licenses for the compositions from performance rights organizations ASCAP, BMI, SESAC and GMR. Music users must obtain synchronization and master use licenses from the music publishers and record labels, respectively, along with paying negotiated fees to “synchronize” the audio with the visual elements. Also, rights’ owners may share in ad revenue in addition to or in lieu of those fees. It should also be considered whether a broadcaster who repeatedly uses a particular song as a theme song or channel staple (like when Ninja does a victory dance at every game win to the song, “Pon Pon Pon”, performed by Kyary Pamyu Pamyu) is implying an association with or (false) endorsement by an artist, similar to when political candidates use certain songs in their campaigns. First, there is no evidence that Twitch has valid performance licenses in place from ASCAP, BMI, SESAC, or GMR (although they may be working on it). Therefore, Twitch is not paying for the repeated performances of music to audiences of millions. Second, it is not known that any broadcaster using music on Twitch obtains synchronization or master use licenses, or pays any fees for the use of music. Also, neither Twitch nor the broadcasters are sharing ad revenue with rights’ owners. Third, Twitch does not have its own content ID system like YouTube to track and claim uses of music. Twitch leverages Audible Magic to track audio uses after a live stream is over and will mute infringing content in the on-demand re-broadcasts, but not all content is recognized and removed. Also, there is no system to flag these infringing uses or mute them during a live stream. All of the money earned by Twitch and its partner/affiliate broadcasters for subscriptions, bits, and Prime membership is retained entirely by Twitch and its partners/affiliates, and money earned from donations and Media Share song requests is kept entirely by the broadcasters. None of these funds are allocated to music creators and rights’ owners whose music is being used in these broadcasts. On June 22, 2018, the Twitch community received a shock when a group of its most popular broadcasters were banned from Twitch for playing a leaked version of a new song by rapper Juice Wrld that was initiated via Media Share song requests. Interscope Records issued DMCA takedown notices, and per Twitch policy, each infringer was banned for 24-hours. The National Music Publisher’s Association (NMPA) is rumored to be in negotiations with Twitch for licensing, but has not confirmed or commented as to the details. Furthermore, Twitch isn’t the only site on the market. There are other, similar sites such as Mixer (owned by Microsoft), Facebook Gaming, YouTube Gaming, and Caffeine. There are also other music-centric sites, like Smule, using music in audiovisual content purportedly without permission or payment. More of these websites, as well as phone apps, with user-generated content, continue to emerge and the rate at which more new platforms are introduced is unlikely to slow due to the prevalence of streaming. First, rights’ owners are not enforcing their rights and making sure they receive payment for uses of their content. As stated at the beginning of this article, many creators and rights’ owners do not even know about these infringements. Those rights owners’ that are aware, like Interscope, have allowed the rumors of “accidental” takedowns to be the last word on the subject instead of taking a stand to protect their rights. Second, Juice Wrld is an example of at least one artist condoning the Twitch broadcasters’ unauthorized use of his work instead of getting paid. Artists and songwriters can and should benefit from these uses, and condoning the infringing behavior allows for more of it, as well as a further loss of income to the creators and rights’ owners. Fourth, many streamers feel entitled to play music without permission under the belief they are actually helping artists by giving them exposure. Famous artists and songs do not need free promotion from Twitch broadcasters – they are already famous. While exposure might be helpful for new artists to gain fans, it still doesn’t need to be for free. For example, music service Pretzel Rocks and music company Monstercat have agreements with artists allowing music to be played legally on Twitch broadcasts with compensation being paid to the artists and songwriters. The bottom line is that allcreators and rights’ owners need to be properly compensated for uses of their work. Rather than ignoring or condoning infringing behavior, creators and rights’ owners need to keep up with new uses of music and take a stand to protect the value of their music and their livelihoods. It’s time creators stopped feeling entitled to steal from and deprive each other of the fruits of their labor. It’s time people realized that using music without permission or payment not only cheats the creator or performer, but also impacts everyone that works for them or with them. It’s time the culture of all creators shifts to one of respecting one’s own work enough to get paid for it and respecting the work of others enough to get the proper permissions and pay the proper compensation. It’s time that everyone gets serious about valuing music. The dispute between artists and labels over the income earned from digital downloads continues to rage. Traditionally, record labels sold physical copies of music mediums, like CDs, and then would pay a royalty to the artist for each record sold. When iTunes came on the scene in 2001, the labels treated the sales of digital downloads the same as sales of physical CDs, and ever since have paid the artist a royalty on sales of those digital downloads. However, labels actually license the master recordings to digital distributors like iTunes and after a while artists began to make the argument that the income earned from digital downloads should be treated as licensing income and not sales income. The reason why artists want downloads to be treated as licensing income is because instead of getting a small percentage for a sales royalty (most commonly ranging from 11-20%, with an average of about 15% of the wholesale purchase price), licensing income is usually split 50-50 between the label and the artist. Therefore, artists stand to make a lot more money in royalties if a digital download is treated as a license rather than a sale. This issue came to court starting in 2007 with the case FBT Productions v. Aftermath Records, a case involving royalties paid on Eminem recordings at the “sales” rate rather than the “licensing” rate. FBT won the lawsuit, establishing that income from digital downloads should be treated as licensing income rather than sales income, but Universal Music Group (owner of Aftermath Records) argued that this case should not set a precedent for all artist or record deals. Even though Universal tried not to set a precedent with this case, many artists renegotiated their deals behind closed doors to get better royalty rates for digital downloads than was originally provided for in their contracts. Now the issue has once again arisen with classic group The Carpenters. Surviving member Richard Carpenter (fighting on behalf of his sister Karen Carpenter’s estate, as well) audited the band’s label, A&M Records/Universal Music. Artists often audit record label books to make sure that they are getting paid the proper royalties. Richard Carpenter’s audit showed that the label was under-reporting the number of downloads sold, was calculating the royalty on those downloads at a lower base price than they were supposed to, and that the label was paying a royalty on digital downloads at the sales rate instead of the licensing rate. Apparently, attempts to resolve the issue amicably were unsuccessful, and thus Richard Carpenter sued. The Carpenters’ suit cites the FBT case as a precedent, and if the court follows FBT’s ruling then Carpenter has a good chance of success. Another case is currently pending between Sony Music and 19 Entertainment (the producers of American Idol) regarding how labels pay on digital streams. It’s the same argument as in the Carpenters’ case, but the position of a stream being treated as a license is even stronger than in the digital download scenario. However, it’s unclear at this point which way the court will side in both cases. The labels make the argument that if they had to pay a 50-50 split on all digital download income, they would go out of business. However, the 50-50 split model is quite common with independent labels in the current marketplace and the indie labels are not necessarily going out of business. Both artists and labels often like the 50-50 split model because it creates more of a feeling of partnership between the label and the artist rather than an adversarial view of big company versus small artist. What should be more of a concern to major labels’ fate than royalty rates is the fact that this digital age has made it much easier for artists to be independent and make a living off of making music without major label backing. Major labels can ensure their longevity by creating a new model that involves a deal that artists want to be a part of, that is advantageous to both the label and the artist, and provides for a long-standing working relationship, rather than one where artists are constantly concerned about being taken advantage of by the label. The tighter that major labels hold on to their traditional model, the more artists are going to look for alternative means of pursuing their musical careers — whether that be making direct relationships with distributors or other scenarios that benefit them financially and allow them to create a sustainable career off making music. This issue is not going away, especially with the growing popularity of streaming as a way of consuming music, and it’s time to adapt. Are You Sure You Own Your Masters? Throughout the music business, master recordings or “masters” are typically regarded as to as the original or official recording of a performance fixed in a tangible medium like tape, ProTools file, or even mp3, from which copies can be made. Masters are usually recorded in a recording studio or similar setup and these are the original tracks that get mixed and mastered (another sound processing step using the same term but with a different meaning than a master recording). Released recordings purchased on a CD or digital download are not masters, these physical goods are copies of the original masters. Common sense and matters of principle usually cause most independent artists to feel they should own their masters because they are the ones that contributed the performance and are often paying for the recordings. However, oftentimes other owners can be involved as master ownership can vary based on law as well as contract. Some important aspects in copyright law refer to joint authorships and contributions to collective works. True joint authors that meet certain requirements will co-own a copyright and will be able to exercise the same rights in regard to that copyright. People other than the artist who were involved in the recording of the masters can make the argument that their contribution to the recording counts as a copyrightable contribution and thus makes them joint owners. These contributions can include influencing the sound whether by musical contribution or other direction, recording techniques, microphone placement, etc. Some producers and engineers are more involved than others. With engineers, it’s mostly about the recording and/or mixing techniques used. In the case of producers, they might just be advising on the sound and encouraging the best performances from the artist, or they might actually be playing instruments on the recordings or co-writing the songs. Producers and engineers may be able to argue partial master ownership based on their contributions, but many independent producers are also using contracts to ensure they own all or part of the masters in an attempt to build an income-producing catalog in addition to their producer fee and royalty. For some producers with great influence in the industry, this may be a requirement for artists to work with that producer, however, I always advise artists to make sure that giving up this ownership is actually worth the success this producer will add. Do not give up ownership (or at least not a large portion of it) without being certain that it will be worth it from a career standpoint. The contribution here is usually singing or playing instruments, but in either case it is considered a performance and the performer has rights in and to his or her performance. In some cases the vocalist or musician may simply be singing or playing exactly as instructed, and in some cases may be contributing riffs or other variances adding to the work. In either instance, just paying the vocalist or musician for services rendered may not prevent them from coming back to claim rights in their performances later. Having the vocalist or musician sign an agreement making sure they are giving up all rights to their performance and any contributions they have made is essential. Recording studios sometimes say that they own the masters and they will then release the ownership to the artist once the bill has been paid. Studios argue this because the masters were recorded on studio property, with studio equipment, and studio employees. While these arguments have been successful in past cases regarding photography, success of these arguments from a music industry standpoint would depend on the actual circumstances of the situation. While the studio does have an argument based on this contribution, these tactics serve mostly as a way for the studio to make sure it gets paid. Most artists think because they may have paid these other people for their services, that their ownership rights are covered. However, paying for something doesn’t always mean ownership of it, especially under copyright law. Section 202 of Copyright Law says “Ownership of a copyright, or of any of the exclusive rights under a copyright, is distinct from ownership of any material object in which the work is embodied.” So while you may have tape (or hard drive) in hand, that won’t stop someone from claiming an ownership stake of the copyright. Usually, a recording agreement will provide that the label will own all master recordings recorded by the artist during the term of the agreement. “Work made for hire” is another buzz word that artists (and labels) think applies because there was payment for services – and because mostly all recording agreements include this language. A work made for hire must be made by an employee under the scope of his or her employment, or in the case of independent contractors, must be specifically commissioned by the party seeking to own the work and fall within certain categories listed in the law. In most situations where artists are recording music, the parties involved (whether it be artist v. label, artist v. recording studio, artist v. producer/engineer, etc.) are independent contractors, so the employee provision will not apply. Sound recordings are also not included in the specific categories that copyright law lists as eligible for work made for hire status. Most labels make the argument that record albums are collective works (one of the allowed work made for hire categories), but this ambiguity leaves masters open for joint ownership without a proper copyright assignment. A recent example occurred where A&M Records sued a recording studio claiming one of the studio owners had rights to the master recordings for the album “Temple of the Dog”, by the band of the same name, a side project between musicians Chris Cornell (Soundgarden, Audioslave) and Eddie Vedder (Pearl Jam). The label claimed it bought the masters and the rights from the studio and had an agreement to prove it, but those on the studio side said that not all owners of the studio had signed the agreement and the owner who had not signed the agreement had not given up his rights to the recordings. The lawsuit recently settled out of court, and the tapes were returned to Chris Cornell. What should an artist to do to ensure master ownership? Artist intending to fully own their masters should have written agreements in place with everyone involved in the recording process — the studio, engineers, producers, and hired musicians. These agreements should clearly state that the artist owns the masters and include language whereby these contributors will transfer their rights in the masters to the artist. These agreements do involve many components and complex language, so they should be drafted by an experienced music attorney. If the artist’s financial situation prevents him from hiring an attorney (or other reasons prevent hiring an attorney), then DIY templates of the appropriate agreements can be downloaded from Indie Artist Resource (For IAR templates, CA residents click here and Non-CA residents click here). If this article is considered an advertisement, it is general in nature and not directed towards any particular person or entity. This article was originally published on Sonicbids.com. What is a Contract Term? A “term” of a contract usually refers to the length of time an agreement covers. For example, two parties may decide to work together for a period of three years, thus the contract would have a “three year term.” Sometimes, the term is broken up into a firm amount of time, with the option to continue working together for longer. This could look like an initial period of two years, with a one year option. If that option is exercised, then the total term of the contract would be three years. These options are often exercisable at the discretion of one party (like a manager or a record label), making that party obligated to initial period and only obligated to the option periods if they choose to exercise them. The other party (like the artist), however, would be obligated to the entire term (initial period plus options). In other types of agreements (like certain types of music library or publishing agreements) options may automatically renew on a yearly basis, making the contract last as long as the parties are willing to continue working together. The other way the words “term” or “terms” are used in relation to contracts is to describe certain the actual provisions of the contract. People will say things like “according to the terms of the contract,” which means the provisions of that contract. They may also refer to a specific, singular term, meaning one provision in particular. You will usually know the difference of “the term” versus “a term” or “the terms” based on the context of the conversation. Both the term length and actual terms are important due to the fact both could bind you to an agreement not ideal for your career. You could be stuck in a deal where the term length extends much longer than it should and prevents you from signing other deals, creating other projects, and stalls your career. In a situation like that, your career in music will effectively be over because without the ongoing momentum, people will forget about you and your music, newer artists will be on the scene, and you will be on a hamster wheel trying to play catch up while the industry moves forward without you. If the other terms of the agreement aren’t ideal, you could also be broke by paying large amounts of commissions to those you work with without anything left over for you. You could lose your copyrights and the right to continue profiting off of your work because someone else owns it. You could even lose the right to use your own name professionally, like one artist who told me her story of not being able to register her name as a URL, because she had unknowingly signed those rights away to someone else. It is of the utmost importance to know what you are signing and have an experienced music attorney review your contract to make sure you do not become another music industry statistic of a promising young talent whose career was crushed by your own failure to hire the right person to protect you. If you have been offered a deal, contact Erin now to have it reviewed. A common and long-standing frustration amongst musicians is getting their music heard. Most companies do not accept unsolicited material and require any submissions to be through an artist representative they know and trust. Companies do this to try to protect themselves from claims of copyright infringement based on one of their releases sounding too close to something submitted to them by someone they don’t know. Because of the “no unsolicited material accepted” policy, artists need someone to shop the music for them. However, an artist must also determine the right type of person to shop their music and whether that person actually shops artists. The types of people companies will usually accept material from are agents, managers, and attorneys. Some companies will be even more restrictive and only accept from agents and attorneys. How do you get someone to shop your music for you? It’s great if you already have a relationship with a connected person willing to shop you. If not, you will have to contact representatives to see if they are willing to shop you. In the case of attorneys, some will shop artists while others will not. Within that designation, some attorneys will shop only certain artist that they believe in, while others will shop anyone that pays them to do so. Companies know the difference between a trusted colleague shopping an artist because that person really believes in the artist’s potential and those recommending an artist because they received a fee to do so. In many cases the better approach is to try to make the connections and relationships with label employees and artist representatives yourself. If the company still requires an attorney or agent to submit your work, you can get one to do so on a formality. If you are going to submit your music, it should be recorded to the best quality you can afford and not sound like demos you made in your bedroom. Your packaging and your EPK must be up-to-date and professional. It may serve you well to have a professional in the industry create or review your submission package before you start sending it out, as labels and other music companies want your package as finished as possible so they don’t have to guess as to whether your rough demo and selfies would translate to a professional product. Your photos should be professionally shot and in high-quality resolution. Put your best songs first and make sure they have strong hooks that catch the listener quickly because most executives will only listen to the first 30 seconds of each song. If you are e-mailing your material, make sure that you’re music is available on a link and you do not send large files to people’s inboxes. Remember to ask the representative’s policy on shopping and do not bother them with shopping requests if you know they do not shop. Some attorneys, like myself, post their shopping policies on their website,* so be sure to read and follow instructions. Good luck! 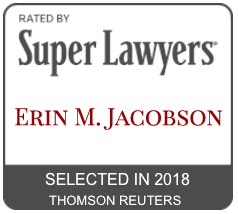 * Erin M. Jacobson, Esq. does not offer shopping services to artists. It’s possible that you have seen or heard of the contract phrase “in all media now known or hereafter devised” or some similar variation. In music contracts, this language is usually used to define in what media your music can be used. This phrase allows a company that has the rights to your music to use the music in the formats currently used at the time the contract is signed, as well as any new formats that are invented in the future (and may or may not be known at the time of signing). For example, pretend that this is 1995, the most popular music format is still CDs, and MP3s had not hit the scene yet. If you signed a deal at that time that said the company had rights to your music “in all media now known or hereafter devised,” then that company also had the rights to start reproducing and distributing your music in MP3 format once that medium started being used circa 1998. If you are signing a deal now with that language, the company can probably use your music on vinyl, cassette, CD, MP3/other digital file formats, and whatever they think of next. So when they start implanting microchips with music, you can bet your music will probably be on that too. Got questions on your contract? Schedule a consultation now to get answers! Disclaimer: This article is for educational and informational purposes only and not for the purpose of providing legal advice. The content contained in this article is not legal advice or a legal opinion on any specific matter or matters. This article does not constitute or create an attorney-client relationship between Erin M. Jacobson, Esq. and you or any other user and Erin M. Jacobson, Esq. is not acting as your attorney or providing you with legal advice. The law may vary based on the facts or particular circumstances or the law in your state. You should not rely on,act, or fail to act, upon this information without seeking the professional counsel of an attorney licensed in your state. Artists seem to have a lot of confusion as to what artwork can and cannot be used on album covers and also who owns album artwork. In this article, I will cover the most common sources of album artwork and how that artwork is owned. For the sake of convenience, I will refer to both artwork and photographs as the “work” or “works,” as the principles discussed herein apply to both. 1. You created the work. In this case you would likely create a piece of art and or take a photograph that you use on the album cover. Absent any unusual circumstances, you should own and have the rights to use artwork you created or photographs you took. If you are part of a band, it gets a little more complicated because one must note which member of the band created the work and what the agreement is within the band as to how the work will be owned. A particular band member may retain ownership of the work as an individual and license the rights to the work to the band, or may assign ownership of the work to the band so that the band owns the rights. If more than one member of the band created the work, they may be able to sign a simple Artwork Ownership Agreement, but again, it still needs to be determined whether those members will retain ownership of the work or assign ownership to the bands as an entity. A band owning the work created by a single member or multiple members may be determined on a case-by-case basis or it might be based on a band agreement. 2. Someone else created the work for you. Usually this scenario plays out in one of two ways: either someone is hired by you or your band to create artwork for your album, or you hire a photographer to take photos of you or your band and then use the photograph(s) on the album. Paying for something does not equate to ownership of it under copyright law. You may own a physical copy of the work – a photo print, a painting, a CD – but that does not automatically give you ownership rights in the copyright of the work itself. If you have hired and paid an artist or photographer to create a visual image for your album cover, that artist or photographer will still own the copyright in the work unless that creator has assigned the copyright ownership of the work to you or your band. The assignment of copyright will often include a higher fee and/or a payment of future royalties in exchange for the creator giving up his or her intellectual property rights. If there was no transfer of copyright and the artist or photographer retains ownership of the work, you would need to get a license from the creator to use the work for your album cover, as well as for promotional and other uses associated with the album. Again, this usually will involve a fee and/or possibly a royalty payment. Keep in mind that if the creator retains ownership, (s)he will be able to use or license the work for other purposes besides your album cover. An example of this would be the creator giving a magazine permission to use a photograph of your band that the creator photographed. Whether working with a photographer or artist, you should get the terms of the agreement in writing. If the creator has given you a contract to sign, it would be wise to have a good music lawyer make sure the proper rights for uses related to album covers are granted in the language. If not, these rights will need to be added. If the creator retains copyright ownership, your lawyer may also be able to limit other uses granted by the creator. If the creator does not give you a contract, you should have your lawyer draft a contract so that the terms that are spelled out clearly. 3. You got the work from the Internet or another source. If you purchased a stock photo on the Internet, you will need to check the license provisions that come with that photo. Some photos do not allow for commercial uses, while others do allow for commercial uses, and yet others allow for commercial uses but with higher fees required. You will have to choose a photo that allows for the rights that you will need for using the photo on your album cover and associated promotional uses. Using a photo that you like from the Internet without getting permission to use it is copyright infringement, even if you credit the source. If there is a work that you like on the Internet that is not from a stock photo website or that you find offline, you will need to find out the identity of the owner of the work and contact that person to get a license for permission to use that work on your album cover. Transfer of copyright ownership is probably a long shot in this scenario, but some creators might be willing to transfer ownership for the right price. Again, consult with a good music attorney to make sure you are getting the rights you need for your specific situation. Do you have questions that you’d like to get answered in an upcoming “Ask a Music Lawyer” article? Please send topic requests to askamusiclawyer@gmail.com. Please note that specific case advice cannot be given, and if you have questions pertaining to an issue you are personally experiencing, you should seek a consultation with a music attorney. This post was originally published on Sonicbids.com. “The Warner Music Group has submitted a settlement to the class action lawsuit filed by artists who claimed they were entitled to be paid on a licensing bases instead of a royalty bases for download and mastertones.” Read the full article at Billboard. Apple Records will release rare Beatles recordings, including studio outtakes and live tracks, in order to preserve copyright under the European Union’s copyright law. Read the full story at the NY Daily News.